India Withdraws Sweeping New Rule Clamping Down on Fake News - Integration Through Media ....! 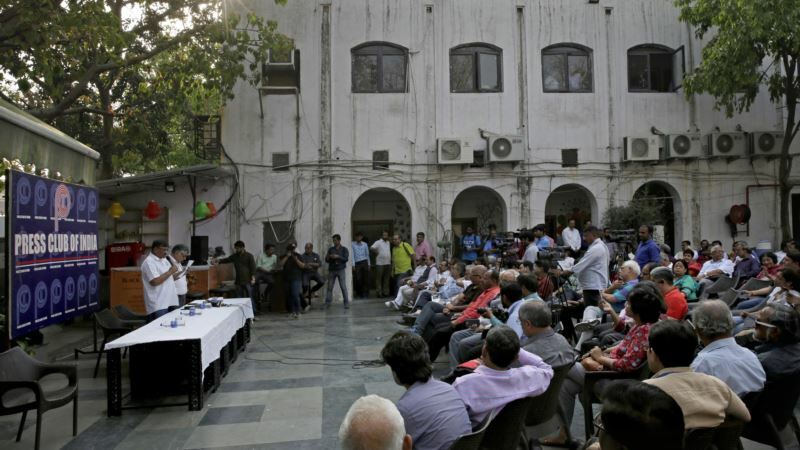 (VOA): India's Ministry of Information and Broadcasting on Tuesday withdrew a sweeping new order clamping down on journalists accused of spreading fake news. The U-turn came hours after the ministry announced that reporters' press credentials could be suspended simply for an accusation of spreading fake news. The rules, issued by a government often deeply sensitive to media criticism, angered journalists and opposition politicians, who called it an attempt to gag the media in the run-up to national elections expected next year. Several Indian news outlets reported that the initial order, announced late Monday night, was withdrawn on the instructions of Prime Minister Narendra Modi, who said that issues surrounding fake news should be dealt with by the Press Council of India, a semi-independent press group. Through Tuesday morning there was anger against the order. “Make no mistake: this is a breathtaking assault on mainstream media,” Shekhar Gupta, a senior political journalist, tweeted after the new rules were announced. The order did not define fake news or make clear who could make a complaint. It was unclear what caused the reversal, particularly with a prime minister who takes pride in being deeply involved in nearly all major decisions. Journalists welcomed the change, though many were also wary about what had happened. “We should all remain vigilant that if a government does this kind of a thing then you never know” when they will do it again, said Gautam Lahiri, president of the Press Club of India. Late Monday, the information ministry announced that the accreditation of any journalist who “created and/or propagated the fake news” would be suspended until an inquiry was completed. The statement said anyone found to be peddling fake news would lose their government accreditation for six months in the first case, one year in the second case and permanently if it happens again. While a journalist in India can work without government accreditation, a press card from the federal Press Information Bureau is required to cover government events and ministries and get access to the houses of Parliament.